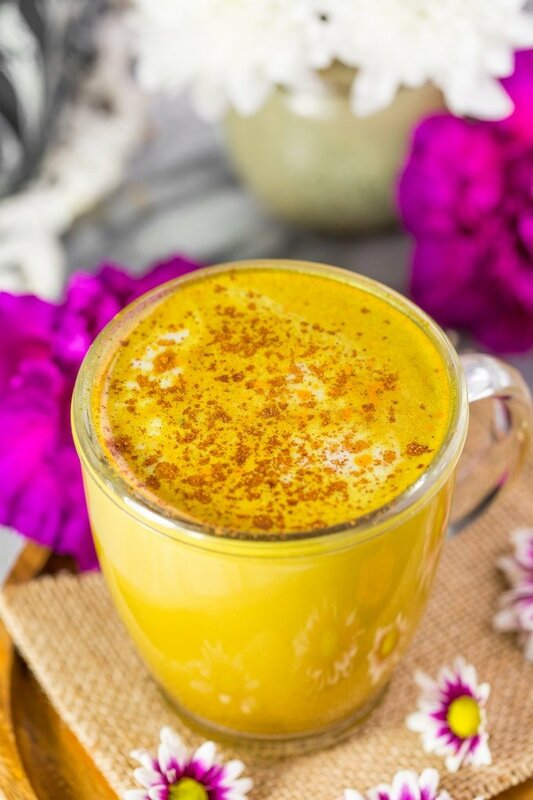 Believe me when I tell you that this Golden Turmeric Latte is well worth the potential yellow-stained surfaces that you might get after accidentally knocking over the jar of turmeric spice all over the counter top. Whoops! Hopefully you’re not quite as spatially challenged as I am in the kitchen life. For what it’s worth – a little bit of baking soda and water mixed together helps to remove turmeric stains like a charm. I’ve also heard lemon helps too but I’ve yet to try that out. I’m sure I’ll find plenty of opportunity to test that one out in due time. At any rate, this is worth it. No question. Especially considering all of the crazy good health benefits you can get from turmeric: it’s naturally anti-inflammatory, promotes brain and heart health, increases antioxidants throughout out the body and can help prevent cancer. On a more personal note, I’m totally open to the fact that this might be placebo effect but it does seem like Mike’s arthritis flare ups are always more in check when he’s regularly consuming turmeric in one way or another. I’d let my hands stain yellow permanently from handling all the turmeric if that meant it would help keep Mike fit and fighting without all the flareups. 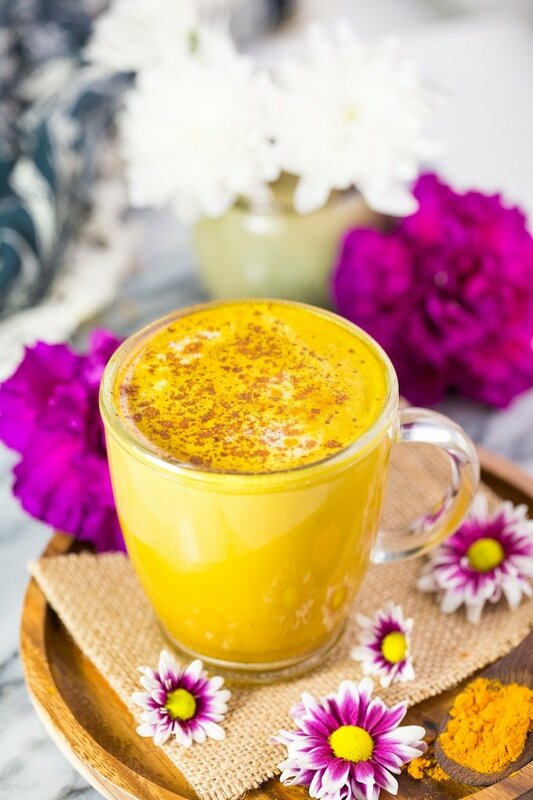 No fancy coffeehouse equipment needed to make these golden turmeric lattes – just your run-of-the-mill coffee pot (or whatever you use to make coffee) and any old blender. When your coffee is all ready to go it’s just a matter of throwing everything in your blender and blitzing it all together for a few seconds until it’s nice and frothy for that foamy milk finish every good latte needs. Easy! If you’re not much of a coffee person you can always sub out the coffee for more milk. I do recommend using a fuller fat coconut milk here because it helps increase the absorption of the active compound in turmeric. On another note, it’s also going to make for a much creamier overall texture. Of course, you can always use another type of milk if you prefer – you can always add in a tablespoon of coconut oil for the absorption. If you’ve never had coconut oil in your coffee before you might also like to know that it makes your lips SO SOFT. It’s honestly worth it for that fact alone. Since we’re using ground spices here – that will settle and collect down at the bottom of your mug. I usually just leave those bits behind, but if you don’t like that then you can always pour your latte through a strainer before enjoying to get rid of those extra bits. All in all it’s a really simple recipe that adds only an extra minute or two onto your normal morning coffee routine. It’s perfect for those mornings when you just want something a little different or you’re looking for a little extra health kick. I hope you enjoy it as much as we do – let me know if you try it out! 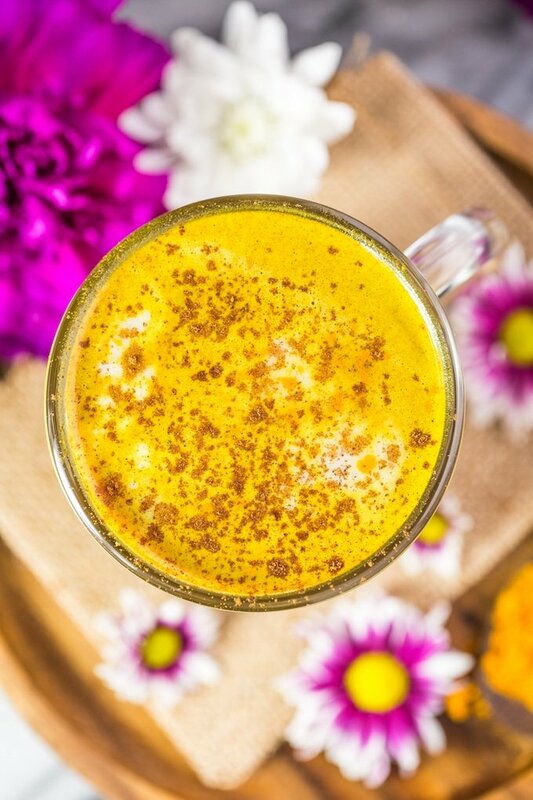 Don’t forget to #asaucykitchen on instagram if you try this Golden Turmeric Latte! 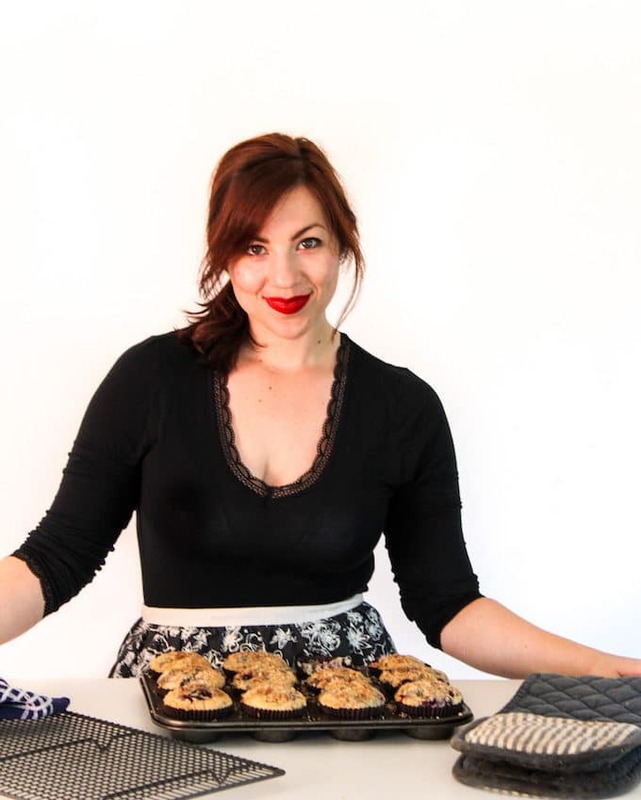 We love seeing what you make! You can also post your pictures to my facebook page! Add everything to a blender and blend until frothy. It will be hot so make sure to be extra careful when removing the lid - open away from you. Add any additional sweetener if you like pour into a mug. Enjoy warm. The spices will fall to the bottom of your mug - if that bothers you you can always strain the latte through a fine mesh strainer. My husband and I suffer from arthritis & he, fibromyalgia. I encapsulate ground turmeric & ginger. And we take everyday. If we seem to be hurting worse on some days, we take up to 3 of each capsule. I sell my capsules too. And many of my family memebers take them also. I really love that idea! Sometimes it’s hard to always get in the right foods so taking it in tablet form would make it so much easier. Thanks Kelly! I’ve read a lot about Turmeric having health benefits so gave this a try. I like my coffee more bitter so I didn’t add any sugar, but it came out well.